In the Class Room - Community Education - Brighton technical school, Victoria, Australia. Adult Education at Brighton Tech. 1974. 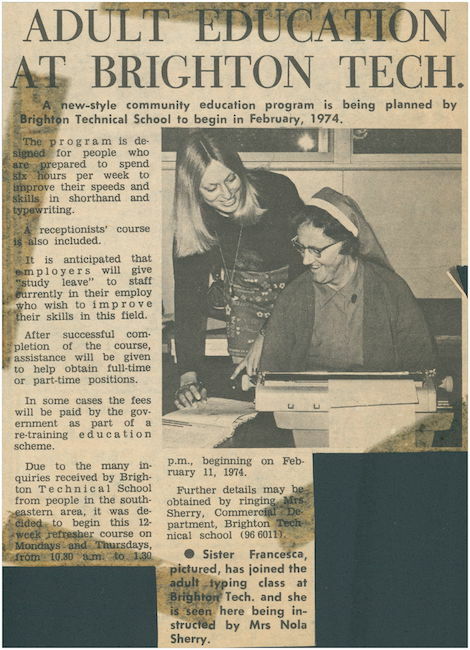 Article refers to: Sister Francesca and Mrs Nola Sherry.